July | 2014 | Teemo, Ltd. 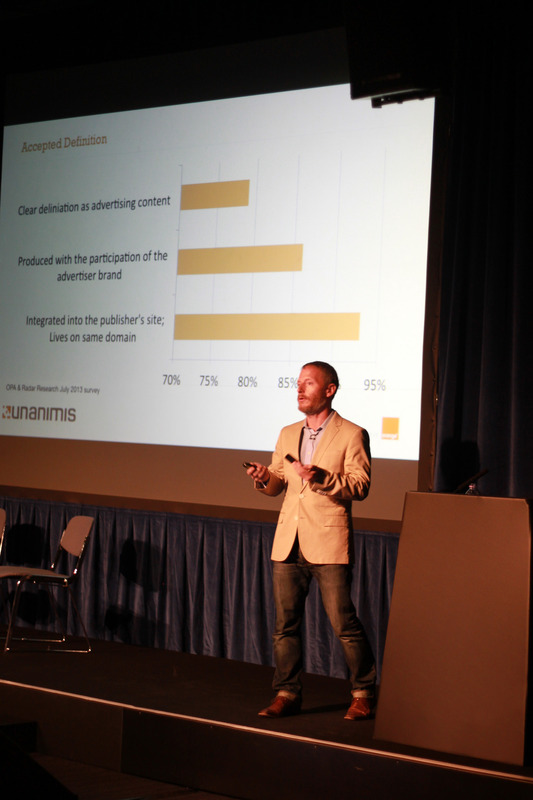 I presented for Unanimis at the IAB UK Content Conference on July 24th. 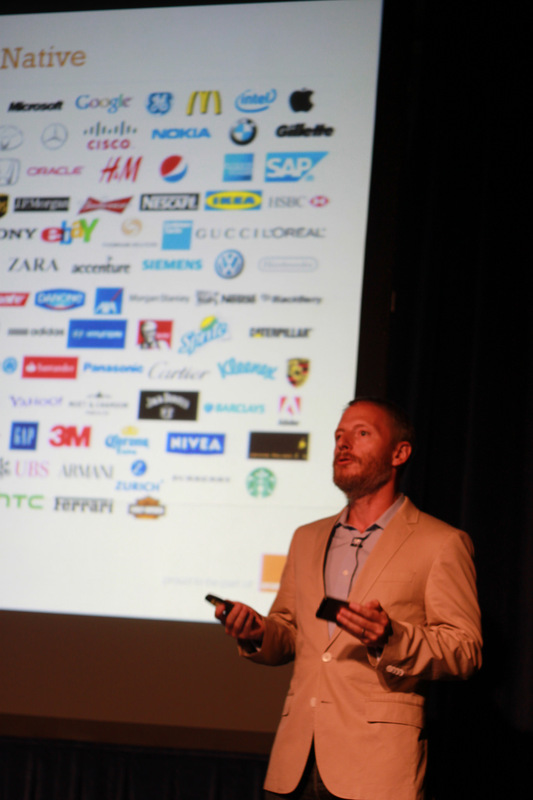 The event brought together, in roughly equal parts, advertising brands, agencies, publishers, and tech companies. I chose to look at ways in which the online ad industry can scale up native to be able to deliver on it. Core to the presentation was that publishers and advertisers need to look at why Facebook and Twitter have been so successful as scaling up native so quickly and apply that to their people, process, and technology. Is it a piece of paid content, i.e. was it paid for by an advertiser? Using this definition, I examined how publishers can use stories, posts, videos, and other content in a native, responsive, in stream manner. I asked attendees to question their systems and processes, to leverage existing assets, and to ensure they weren’t duplicating work in setting up a native solution. As yourself, what’s your definition of Native? Do you have an internal Native Champion who shows a natural passion for the subject? Is your native solution keeping your viewers on your site or taking them away? What’s the cost of driving a user off your site? 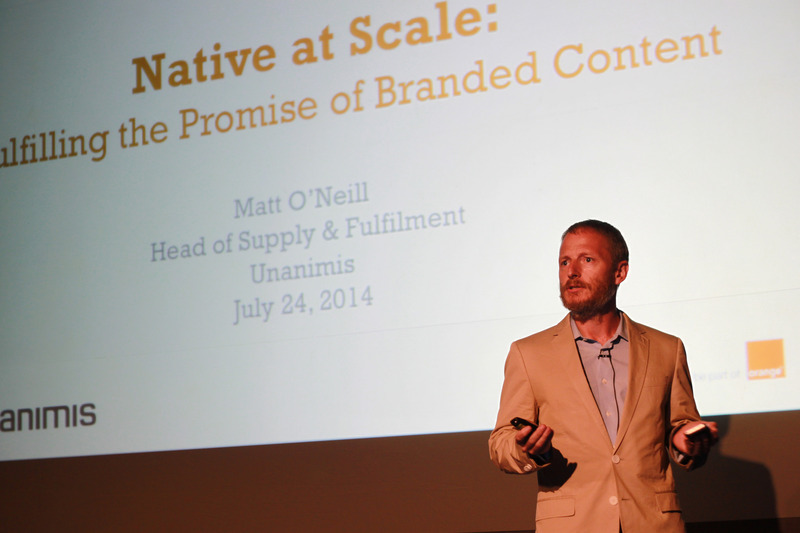 How many systems or platforms do you need to use to successfully deliver a Native campaign? What’s the cost of these systems? How, other than direct sales, are you sourcing demand? 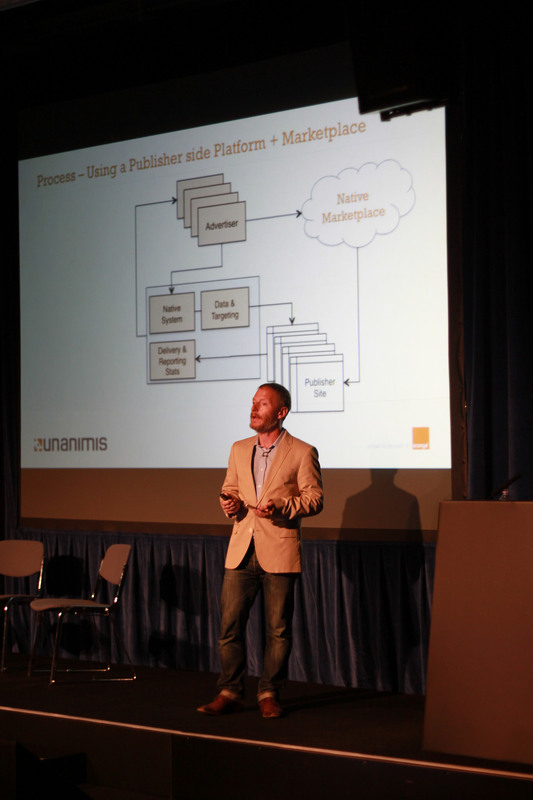 Are you able to offer the full capabilities of a 2014 ad system in Native? Tech / People / Process Scorecard for Native? How do you rank? I will be writing up a longer post on the topic but thought I’d share this for now. And another one is absorbed in what continues to be a busy, busy acquisition year. FBX + LiveRail is a pretty serious contender in the space, especially with LiveRail’s SSP functionality. I’m actually kind of surprised it wasn’t Yahoo! to snap this one up. They’ve been really stale on video lately. This will be a particularly interesting one to watch! Facebook Buys LiveRail to Grow Its Video Ad Business | Adweek. It certainly wouldn’t be a well attended funeral, except for those that wanted to actually see it dead. Ok. Maybe that’s a bit harsh, but these days press releases seem like an utterly redundant exercise. There are so many better ways to get your messaging out there. We’ve all seen sites like these – PR aggregators disguised as news sites. I suspect though that the PR of old will find new life in the Native Advertising world as what were once press releases are now pushed out via Native exchanges and marketplaces. I don’t even remember the last time I read a press release, so I don’t think that this will be too disruptive to my life. PRWeb, PR Newswire, Business Wire and PRLog lost 60% to 85% of their search visibility over night. 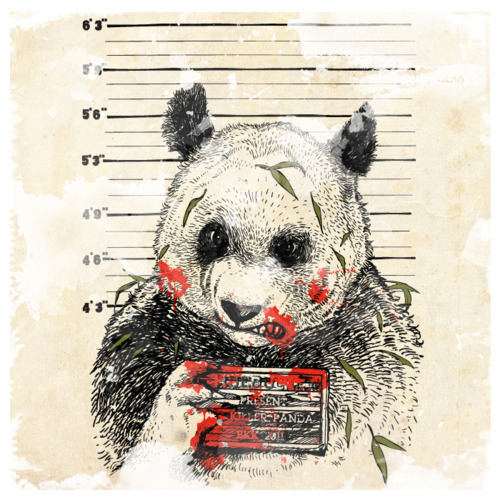 via Does Google Panda 4.0 mean the days of PR newswires are numbered? 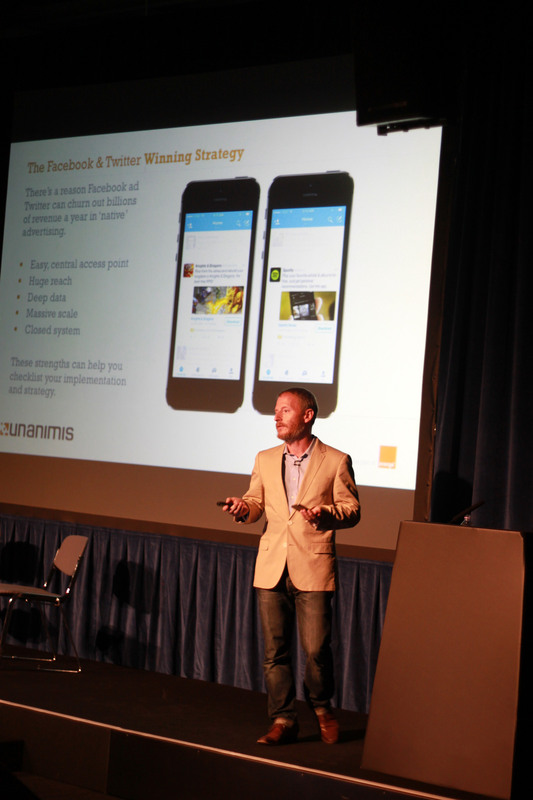 | Econsultancy.